Udaya Bhanu is a famous South Indian film actress and model. She is well known for her role Madhumati in a Telugu film “Madhumati” which was release in 2013 and got many positive reviews by audience. So, here we are going to tell you about some more more information about Udaya Bhanu. Such as – Udaya Bhanu age, height, wiki, date of birth, marriage & so on. Udaya Bhanu made her first debut in R. Narayana Murthy’s Erra Sainyam (1990). At that time she was studying in college. She appeared in few more Telugu films, including Kondaveeti Simhasanam (2002), Qaidi Brothers (2002) and Shravana Masam (2005). 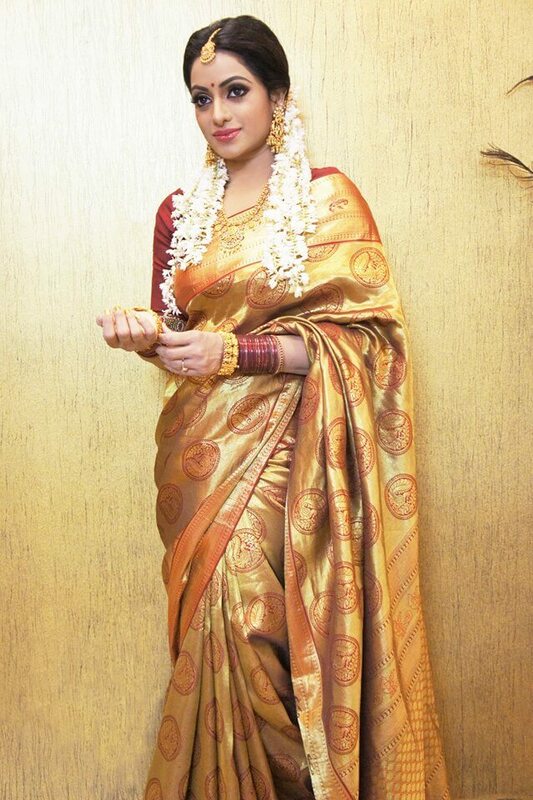 She also played lead roles in a couple of Kannada films and has acted in an unreleased Tamil film Chinna Ramasamy Periya Ramasamy co-starring Jayaram by R. V. Udayakumar.And she performed item numbers in three Telugu films Aapada Mokkula Vaadu (2008), Leader (2010) and Julai (2012). Udaya Bhanu is in industry since her childhood. She is very hardworking and talented actress. She has been part of many Telugu, Tamil and Kannada. Udaya Bhanu is highest paid actress in Telugu TV channels. She again married with Vijay Kumar from which she has two twins daughters.